WASHINGTON, DC, December 10, 2009 (ENS) – As a result of the largest environmental bankruptcy in U.S. history, $1.79 billion has been paid to fund environmental cleanup and restoration under a bankruptcy reorganization of American Smelting and Refining Company, ASARCO, federal officials announced today. ASARCO LLC is a mining, smelting, and refining company based in Tucson, Arizona that mines and processes primarily copper. Parent corporation Grupo Mexico is providing the $1.79 billion to resolve the ASARCO’s environmental liabilities from operations that contaminated land, water and wildlife resources on federal, state, tribal and private land in 19 states. The money from environmental settlements in the bankruptcy will be used to pay for past and future costs incurred by federal and state agencies at the more than 80 sites contaminated by mining operations in 19 states, said federal officials. “Today is a historic day for the environment and the people affected across the country,” Perrelli said. The United States received approximately $776 million, which will be distributed in accordance with the underlying settlements to address 35 different sites. Much of the money paid to the United States will be placed in special accounts in the Superfund to be used by EPA to pay for future cleanup work. It will also be placed into accounts at the Department of Interior and the Department of Agriculture to pay for natural resource restoration. In addition, the Coeur d’Alene Work Trust was paid $436 million, while the three custodial trusts which address the owned but not operating properties of ASARCO and involve a total of 13 states and 24 sites were paid a cumulative total of $261 million. As well, payments totaling more than $321 million were paid to 14 states to fund environmental settlement obligations at 36 sites. “This settlement provides significant resources to address land restoration from past mining activities on National Forest System lands in Arizona, California, Idaho, Montana and Washington,” said Joel Holtrop, deputy chief for the National Forest System, U.S. Forest Service. ASARCO has operated for nearly 110 years – first as a holding company for diverse smelting, refining, and mining operations throughout the United States and now as the Arizona-based integrated copper-mining, smelting, and refining company. 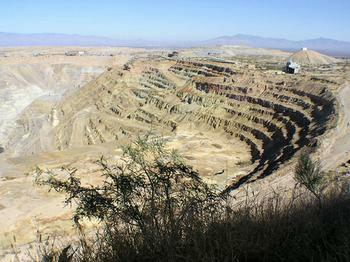 ASARCO filed for protection under Chapter 11 of the U.S. bankruptcy code on August 9, 2005. By the time it filed for bankruptcy, ASARCO’s core operating assets were limited to operations in the states of Arizona and Texas. Yet the company continued to own many non-operating properties that were highly contaminated and also was subject to environmental claims at sites that were not owned by the company. In August 2009, following lengthy litigation, the U.S. Bankruptcy Court for the Southern District of Texas held a hearing on competing plans of reorganization for ASARCO that would allow the company to be purchased out of bankruptcy. During this hearing, two competing plans emerged that proposed to pay creditors in full with interest. On August 31, Judge Richard Schmidt of the U.S. Bankruptcy Court in Corpus Christi issued a recommendation to the U.S. District Court for the Southern District of Texas to confirm the plan proposed by ASARCO’s parent company, a subsidiary of Grupo Mexico. U.S. District Judge Andrew Hanen in Brownsville accepted Judge Schmidt’s recommendation and confirmed Grupo Mexico’s plan on November 13. On December 9, Grupo Mexico met its funding obligations and also complied with the environmental payment and property transfer obligations outlined in the numerous settlement agreements, which had been approved by the bankruptcy court. The reorganized company remains responsible for environmental liabilities at the properties it will continue to own and operate. One of the largest settlement areas covers 2,500 square miles and spans parts of three states – southeast Kansas, southwest Missouri and northeast Oklahoma. The Tri-State Mining District is located in the Spring River and Neosho River watersheds, both of which flow south, terminating in the headwaters of Grand Lake O’ the Cherokee. It encompasses the Tar Creek Superfund Site, near Picher, in Ottawa County, Oklahoma, where mine tailings are deposited in hundreds of piles and sediment retention ponds near residential communities and in developed urban and rural areas. Some piles are as high as 200 feet and contain lead, cadmium and zinc. Natural resources affected by mining-related contamination include: surface water, fish, migratory birds, freshwater mussels and threatened and endangered species and their supporting habitat, such as sediments and floodplain areas. The Department of the Interior, the states of Missouri, Kansas and Oklahoma, and six American Indian tribes jointly received $62.4 million for natural resource damages in the district, while Interior received an additional $2.3 million to reimburse past assessment costs. In the Coeur d’Alene Basin of Northern Idaho, the Bunker Hill Superfund Facility includes extensive public land, water and wildlife and migratory bird habitat resources administered by the federal government and the Coeur d’Alene Tribe. Natural resources that have been injured by the mining activities include: surface water, groundwater, fish, wildlife, and migratory birds and their supporting ecosystems. Interior and the U.S. Forest Service jointly received $79.5 million in the settlement. In addition, $28.9 million will be held by the Successor Coeur d’Alene Custodial and Work Trust to be used to perform work selected and prioritized by federal agencies. Click here for more details about the ASARCO settlement.